If you have a reason to dress up a bit these holidays, here are my tips to throwing together a smart casual look without the hassle. If you have a reason to dress up a bit these holidays, here are Tracy Gold's tips to throwing together a smart casual look without the hassle. 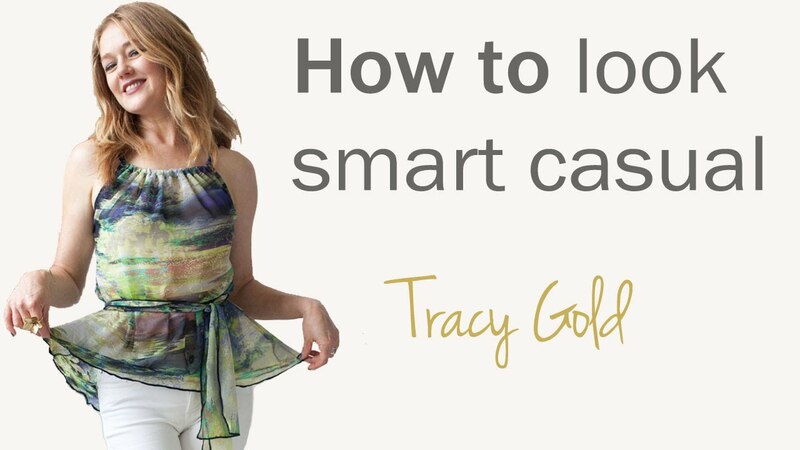 When it comes to creating a smart casual look, one of Tracy's favourite go-to items is a top you can easily dress up or down. A top you can add a bit of bling to, throw on with a pair of jeans, white pants or even a skirt. If your top is sleeveless and you don't want to show off your arms, just add a shrug and you are ready to go. Everyone has one of these wonderful tops in their wardrobes. If you don't, then just add it to your shopping list this season.